As we reported in our last weather report on Monsoon advancement,IMD has earlier said Northern Limit of Monsoon (NLM) is anchroed over central Kerala. According to latest IMD’s report,Monsoon today afternoon has started advancing and covering full North Kerala and parts of Tamilnadu. Northern Limit of Monsoon (NLM) has today afternoon crossed Kannur,Ooty,Cuddalore and should enter Coastal Karnataka and Goa . 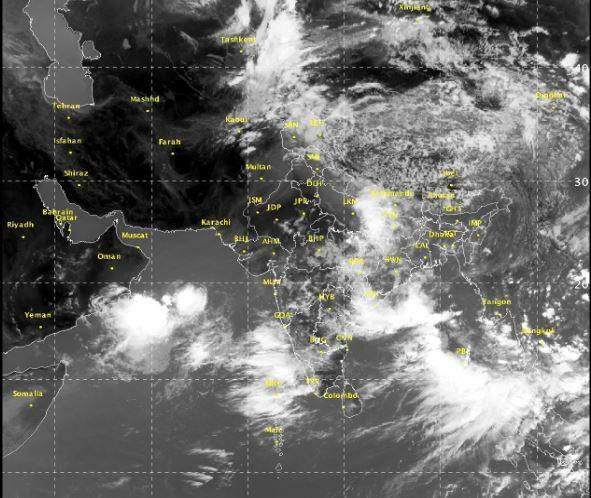 IMD also said low-pressure area have formed over West-more monsoon towards West Coast. Some of the areas over the West Coast, including Coastal Karnataka, Goa and the Konkan, might witness heavy to very showers in couple of days. ← Avg rainfall in coffee growing areas increased in last decade : Good or Bad?